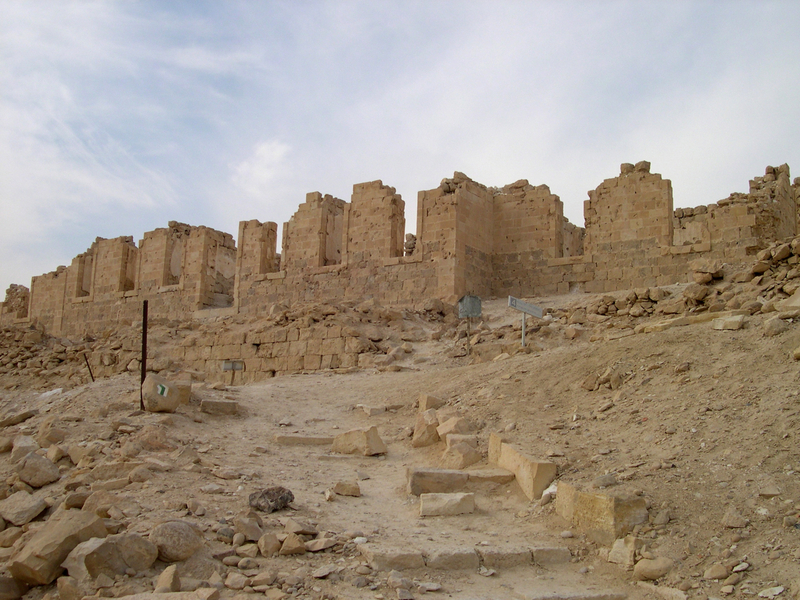 Nitzana is an ancient Nabataean city in the southwest Negev desert in Israel close to the Egyptian border. It may have been a camel caravansary on the eastern branch of the ancient Spice Route, serving pilgrims and merchants travelling to Sinai. This week’s photo shows the remains of the German-Turkish hospital (1906-1917) built on ruins of a Byzantine fort at Nitzana. The technical details – the photo was taken in December 8 years ago with a Nikon point and shoot camera (ISO 100, 8mm, F7.6 at 1/263 sec). This entry was posted in Archaeology, Desert, Photography and tagged Byzantine, caravansary, Nabatean, Negev, Spice Route on June 16, 2013 by Shmuel Browns.